Pay attention to the navigation features – Business visitors are not interested in checking out fancy concealed menus, tabs, and other complicated navigation features on your website. Make sure that they can browse through all the sections of the site with complete ease. This can be achieved by arranging for clear, easily clickable tabs and buttons on the top menu and the side bar. You should also have a functional search box, and a sitemap, in your web design & development plan. Provide valid contact information – The web visitors would definitely prefer the option of being able to get in touch with you. They will contact you if they have any doubts to clarify, or if they wish to establish your business credibility, before buying any product/service. Provide your detailed contact information (the address of your registered office(s)., telephone/mobile nos., fax nos., email addresses., etc.) in easily viewable sections of your website. Contacting you should never be more than a matter of a few clicks! Regularly post fresh, updated content – Stale, outdated web content reeks of a casual, amateurish attitude towards conducting business. Post fresh, unique and really informative content on your pages. Update them at regular intervals (particularly in the blog section of the website). You should also have relevant images, videos and infographics in your overall CMS website design scheme. Have a dedicated testimonials section – Unless a person is able to trust your business operations completely, why should (s)he get into financial transactions with you? Publish the favorable testimonials and reviews, which have been provided by your previous customers – in a dedicated section. They would serve as handy references for the visitors. Do not use fake testimonials, however. Choose an appropriate theme – This has to be done at the very outset of your website development phase. Select a theme for your website, which looks professional, uncluttered, and can be easily associated with your line of business. You also need to choose the best CMS solutions. WordPress themes are the most popular. But tools like Joomla and Drupal also have their fair share of admirers. Do not put up too many flash ads and banners – Such contents will increase the loading time of the web pages. So such animated advertisements might seem to be irritating, to the serious business visitors. Pop-up ads, in particular, are a strict ‘no-no’. Place your ads in a manner that they never hamper the user-experience of the people on your website. 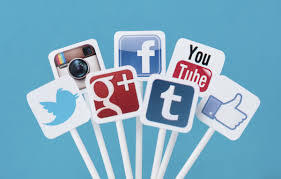 Be present on the social media – You need to promote your website through the various popular social media channels. It helps to lend a more dynamic, sophisticated air about your business. Select the social networking portals on which your business should be represented. Prepare engaging profile pages, and make sure people can easily navigate to your main website from there. Traffic figures would increase manifold. Click here to find out more about social media marketing. Just go ahead with these tips and Enhance Attraction Of Your Website. Your website should never have any broken links and/or ‘404 Error’ pages. It will adversely affect the image of the business in the minds of the costumer. The website design services you avail of need to be in accordance with all the latest SEO regulations. Once business visitors start to find your website attractive and reliable enough, you can easily expect more fruitful sales leads. This article ‘ Tips to Enhance Attraction of a Website ‘ will help you to improve the quality of your website and to increase the traffic to your website.